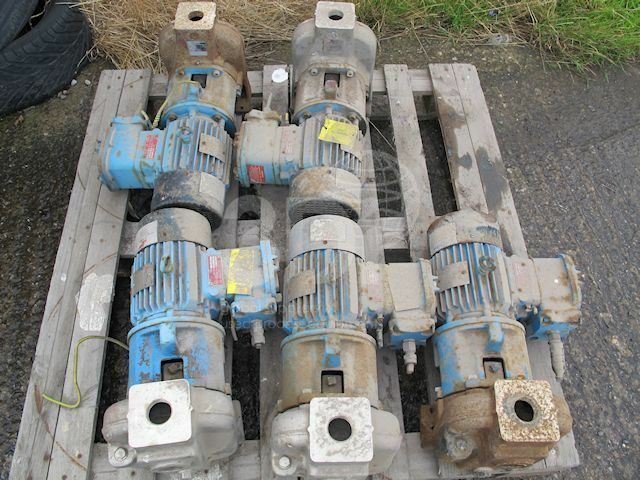 Used 5m3/hr Self-Priming Centrifugal Pumps, manufactured by Johnson Pumps, 2000. Model FRES 32-150. Material of construction: stainless steel. Connections 32mm inlet/outlet. Impeller: 150mm. 30m head. Complete with a 2.2kw FLP electric motor.